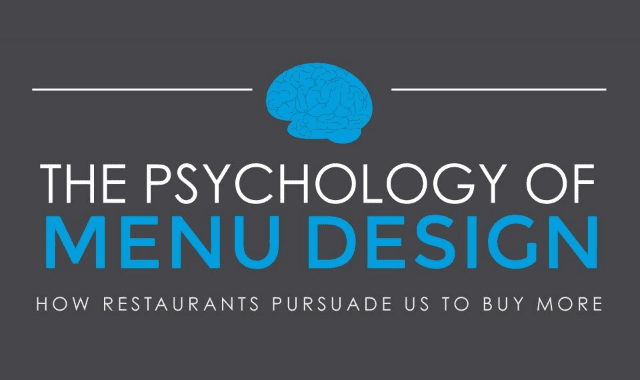 The Psychology of Menu Design #Infographic ~ Visualistan '+g+"
Next time you pick up the menu at your favorite restaurant, instead of making your decision right away, consider the psychology of menu design and what items you think the menu is trying to make you select. Look at the way the menu is laid out, the colors that are used and the descriptions of each dish. This is all part of the menu design psychology.